I have written it before in other AAR’s but, at the risk of repeating myself, the attendees at MVT a fine group of people. Strangers become friends by the end. No one gave less than 100%. 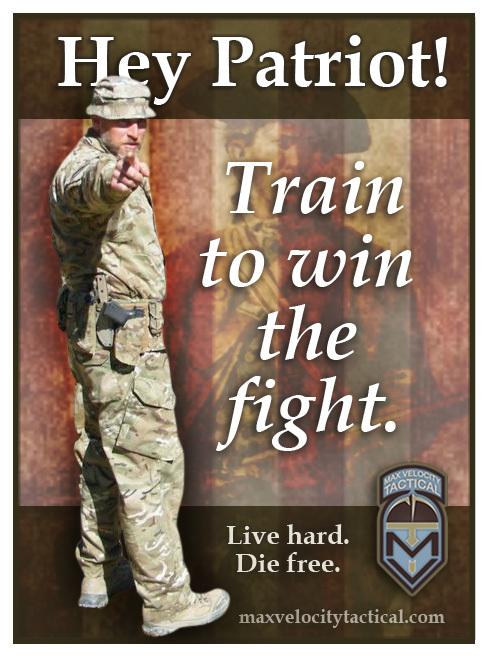 I salute the brave inaugural MVT RC attendees: Jim, Greg, Doodle, Chris, Steve, Jen, Dennis, Robert, Duane, and Hunter. 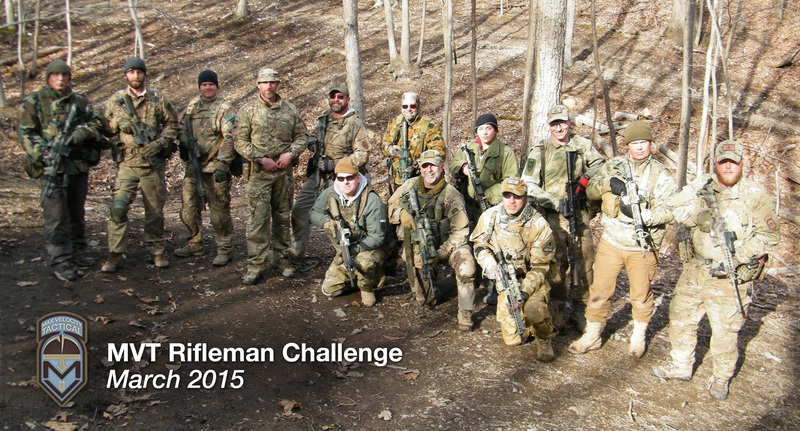 I cannot express the training value of the MVT Rifleman Challenge. Yes, it was a test but in reality I learned as much if not more from preparing for and taking part in the event that the previous two MVT excursions. I would consider doing it again just for the educational content. Max continues to refine his instruction and content to far exceed a student’s expectations. Lee helped out this time and he was great (he did his best to suppress his eye rolls at my training scars). I was impressed with the instructors’ teamwork, fairness, passion and courtesy. 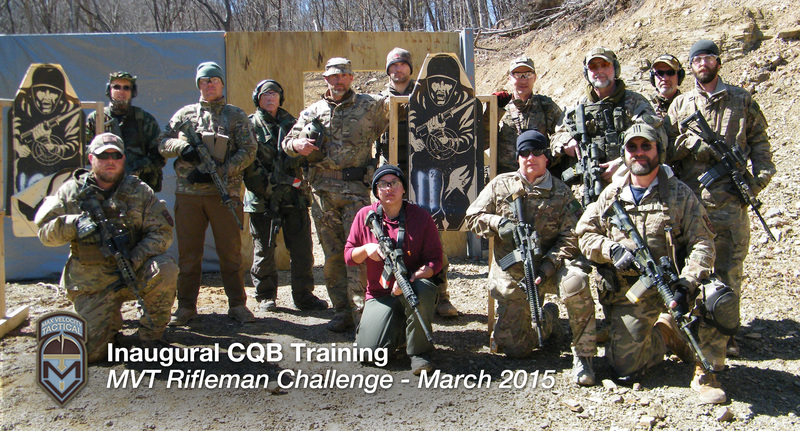 When Max first proposed the Rifleman Challenge, I had just completed the Labor Day weekend 2014 CP class and had previously attended CTT/CP in March 2014. I have been shooting since I was very young and ran competitively years ago (cross country, track, road races, etc). I continue to run recreationally but lightly (since I am a geezer now and try to avoid injury). I thought that the MVT combination of running, shooting, patrolling, SUT, navigation, TC3… would be great to experience. Running and shooting…sign me up. I would like to have seen everyone pass the 2 miler, and I know the instructors and other students felt the same. I am not nor have I ever been a coach, so I think for training advice and guidelines an expert like Hunter would be the one to consult. Perhaps the best contribution to that effort that I could make would be to offer insights and strategies on how to confront the running part of the event. If anything I include below helps anyone pass the 2-miler for Rifleman or enables them to beat the Vanguard time, I would be thrilled. The course is an out and back 2 mile route along the entry road. The outbound leg is mostly downhill. In fact, the turnaround point is in excess of 200 feet lower (probably like 240 feet lower) than the start point. As you drive in on the morning of the 2-miler, reset your car’s trip odometer and watch the road and the distance. Pay attention to the landmarks and where the climbs are. Knowing the course, the climbs, the landmarks and the distance left with help you focus your effort and keep you oriented when the lactic acid fills you up and clouds your mind. One should approach a descending out-and-back course like this by exerting little perceived effort on the outbound leg and saving strength for the long inbound climbs. If one fails to do this, the second half of the 2-miler will be extremely slow and painful. The slowest and most painful way to run a distance race of any length is to start too fast and finish slow and painfully with what feels like a grand piano on your back. “Little effort” outbound on the MVT course does not necessarily mean “slow”. If practiced, a technique of “rolling” down the steep hills can be used where very little effort is given as the runner lets their legs “roll” down the hill. The down hills on the course are steep enough to use this technique. A coach of mine always said, “just let your legs go on their own and relax.” Make no mistake, legs, knees, hips, and back can take a pounding (even without rifle and pack) especially if you feel that you need to slow down to keep from falling on your face. Shock absorption, slowing down, keeping under control for fear of falling, etc… require energy. Due to the pitched forward surface, the natural tendency is for a person to lean back when going downhill. This increases muscle strain and will increase effort as you fight gravity. Don’t fight it so much. Look down the hill where you are going (not at your feet! ), lean into the hill, keep your foot contact with the ground as brief as possible and “roll”. Unlike running uphill, downhill running does not require much knee lift and some runners actually alter their stride significantly in an effort to move down the hill as quickly and efficiently as possible without falling or beating their legs and back to death. Develop a style of downhill running that works best for you. If you practice relaxing and rolling down the steep inclines, have good boots, and are (reasonably) careful not to fall on your face, you can run the first mile very fast while conserving energy. You almost coast down the hill. Imagine using this technique in the first half instead of forcefully slowing yourself, leaning back, and fighting gravity on every downhill the whole way out. Downhill running technique should be practiced with and without a pack before the challenge. Its running/rolling fast while RELAXED. Don’t over practice this technique. Get comfortable with it and, to avoid injury, save it for the 2-miler. 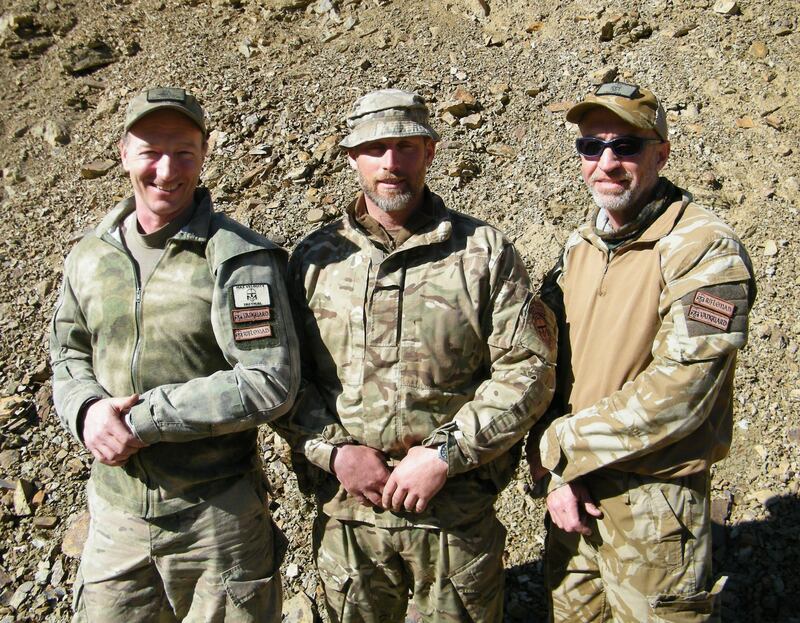 Of course, if you try it and are not comfortable with it, don’t try it at the Rifleman Challenge. Using this technique, I reached the bridge in 7 minutes while subjectively feeling that I had used only about 20% of “fuel” present in my gas tank. In regards to effort, the turnaround point is NOT half way at the MVT Rifleman Challenge. The inbound route is a brute with several difficult climbs. On this part of the course, if you have excess body weight, you are going to pay for that. Most folks will probably want to fast walk up the climbs, but, in my opinion, to make the Vanguard time you will have to run/job/trot on at least some of the uphill sections. If you live in a hilly area, take advantage of your terrain and run on the biggest uphill climbs that you can find. I had to resort to a friend’s high rise condominium stairs. I thought that perhaps I could run the whole way, but I know my limits and had to fast walk a bit on two or three of the bigger climbs (my heart hit its REV limiter!). The mental game comes into play on the inbound leg. Get pissed off and attack the hills with an imaginary reason to tackle them will help …..like Max’s scenario of troops in contact. Get a good tight pack with good padded straps. The 2-miler will provide enough pain, so avoid a painful, uncomfortable pack. I used a medium ALICE pack with Tactical Tailor straps. Without my battle belt, I found the waist strap useful. If you use a chest strap, don’t over tighten it since it will constrict your chest motion. Also, don’t overdress for the event. The effort will produce a bunch of body heat, so staying warm will not be a problem. After much experimentation, I settled upon carrying my rifle without a sling during the run. The sling just seemed to get in the way. 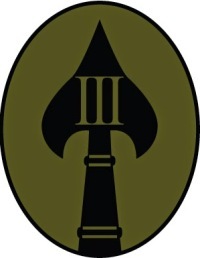 I rarely carried my rifle with both hands preferring instead to carry it with one hand while occasionally switching hands. I did do the two handed grip when fast walking. The 2-miler course was wet and rutty during our event, so a good pair of supportive boots is essential. If the course is wet, boots with heavily lugged soles would be ideal. The first/last 200 yards of the course was steep, wet, and somewhat rocky going downhill at the start and brutally uphill at the finish (at least it felt that way). That’s why it’s a challenge. Indeed, the first 200 yards was so wet and slippery that I DID NOT hurry down that first hill. There were other folks near me and the terrain was too slippery to go fast. Be careful at the start. The start of every crowded off road race is a falling hazard. Fred and Lee should be acknowledged for their encouragement to everyone at the end along that same slipper stretch. I know they helped me out quite a bit. If you wear glasses during the 2-miler, you may have trouble with lens fogging during the shoot (depending on weather etc). Practicing the shoot with the actual target used during the event helped me greatly. The 15 yard run to the start is included in the 40 second time limit for the first position and that is 15 yards uphill AFTER the 2-miler. If you practice the course of fire, practice with an elevated pulse rate if at all possible. A slow run up to the line will really eat up your 40 seconds, so you have to hump it up that hill for the shoot. I thought the navigation course was just as physically challenging as the 2-miler. The terrain is steep and staying on a bearing requires lots of climbing and steep descents. Use of terrain association and moving along ridges where possible (with your compass as quality assurance) will save lots of climbing. The sight lines are limited. I found that moving to a ridge and aiming off to or from a standout (weird/out of place/odd…) tree or treetop and then moving along the ridge line worked well for several checkpoints. It’s essential to know how to read a topographical map and the resources available on the internet are excellent. The navigation event gave me a bit of trouble (don’t get in a hurry and drop your punch card. If you do, don’t cry when you have to repeat a checkpoint!). You may find yourself literally crawling up the last hill on the navigation (I did). The contact drills were familiar with a twist. 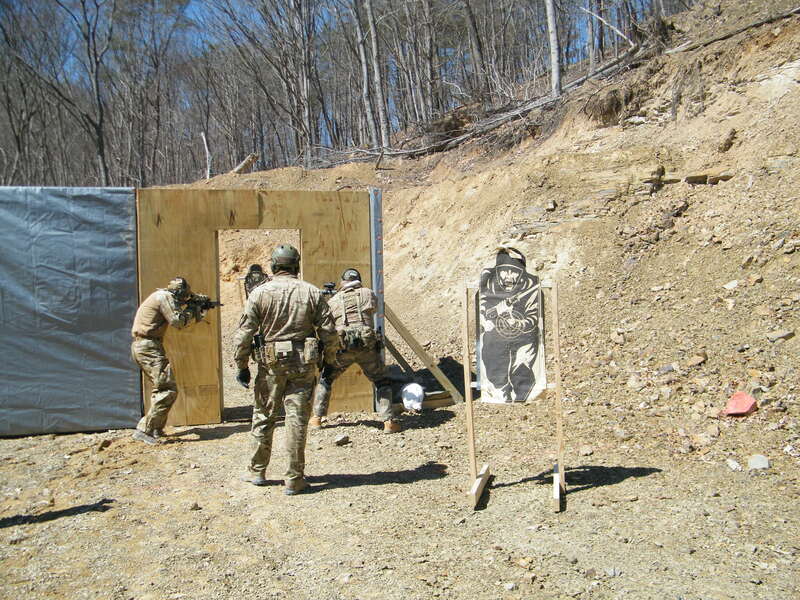 The CQB training would be worth a trip in and of itself. Having a training buddy do the CQB with you clearly is helpful. Chris and Steve were great to watch. The input from Lee in regards to CQB greatly enhanced Max’s lessons. Thanks to JRH (Robert!) and UW Gear for supporting the event. Also, thanks to the III% folks for holding that raffle and paying for Jim’s tuition to the event. No greater guy could have won that. P.S. One should plan on going and leaving all your effort there in the hills of WV. Congrats Jon! Thanks for the insights! Hope you enjoy the Aimpoint! Thanks Robert! The coupons were very nice too. Hope to c u at another class some day. Thanks Jon, for an interesting prospective on addressing the terrain for the 2miler. I started using the one hill I have around here in my training cycle. All the AARs posted from the challenge have been inspiring. Quoting from you….”the attendees at MVT a fine group of people. Strangers became friends by the end.” Well said! Thanks Jon! It was great to train with you again! Excellent tips! No doubt about the return trip is a beast. When I did it, it was wet, icy and snow to go along with the rocks and ruts. I had similar thoughts about being able to “roll” down the hill but the ice made that not a great idea. I also agree how motivating Fred can be from above on that last beastly section!! I was lucky to still be lifting my legs by then, let alone run but his motivation kept me moving to the finish. I am a 46 year old desk jockey who is not much a fan of running when not being chased but I did run that course. You guys contemplating it can do it too if you get prepared. I can only imagine the Nav course effort because I have seen the ridges. No doubt there are steep angles if you have to go over one. Flat landers would do well to find a tall building and run the stairs.